No football, plenty of gravy, and everyone agrees with my opinion, plus I don't have to eat at 4pm. 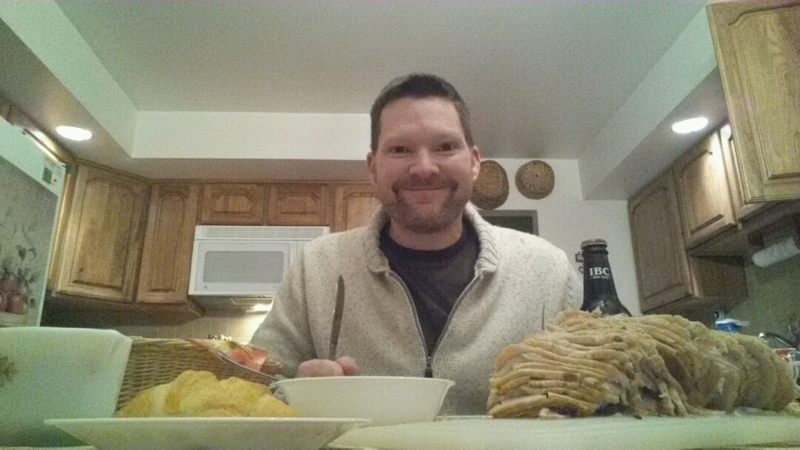 I made turkey breast, gravy, mashed potatoes, rolls, and gingerbread, and had IBC root beer. Skipped the salad to leave room for ice cream. And yes, thank you, I think I will have my fourth roll, BECAUSE THERE ARE 8 OF THEM.